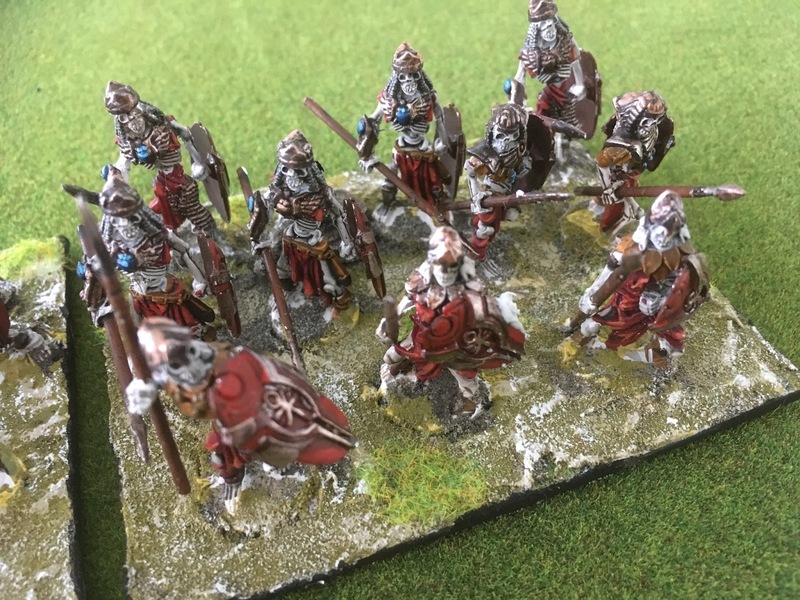 Wargamingnz: First 'Armies of Dust' regiments.. finally .. whew!!! First 'Armies of Dust' regiments.. finally .. whew!!! In December last year I bought the Mantic 'Armies of Dust' army set. 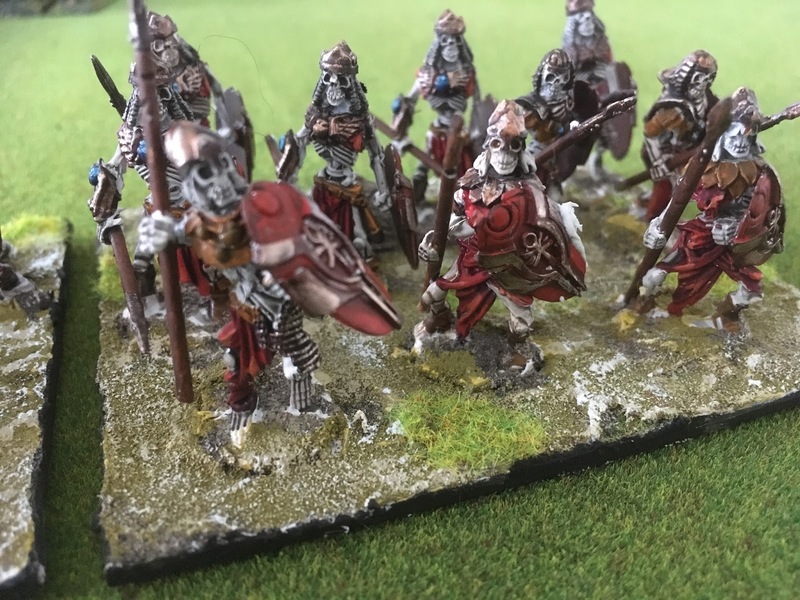 I've always liked skeleton armies in the fantasy genre, especially the 'Egyptian' style armies. 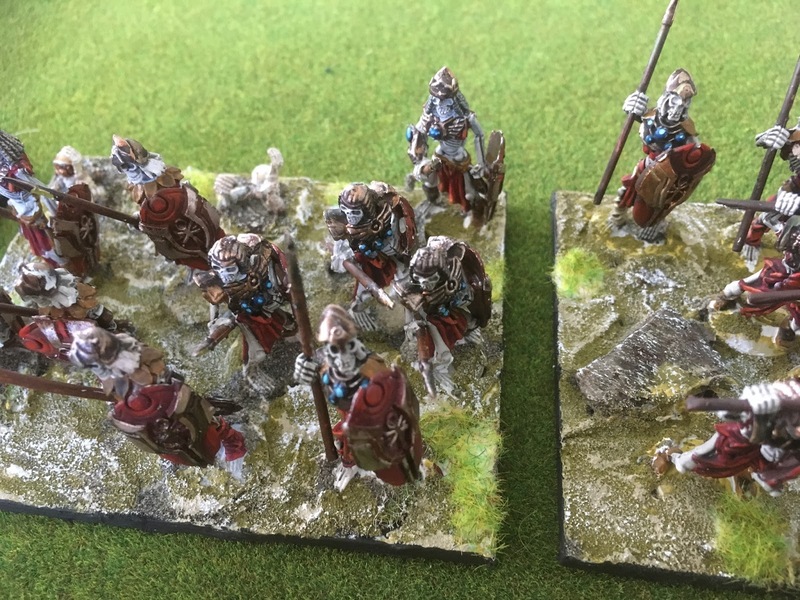 There was huge anticipation, and in February I started on the first figures - the spear. Why so long? The box set hadn't been packed properly and was lacking quite a few key packs of parts. I found the project hard going from the beginning.. the new metal torsos didn't fit the plastic lower bodies, and most had to be individually fitted. The superglue I was using wouldn't seem to hold the body parts together (that may have been an environmental issue.. too hot, or too cold, .. or ..) so I had to use a contact adhesive to hold them. I also decides to use a white (well, ivory) undercoat instead of my more usual black, and was surprised how it has taken me a while to get my head around the difference this made to painting demands and style. 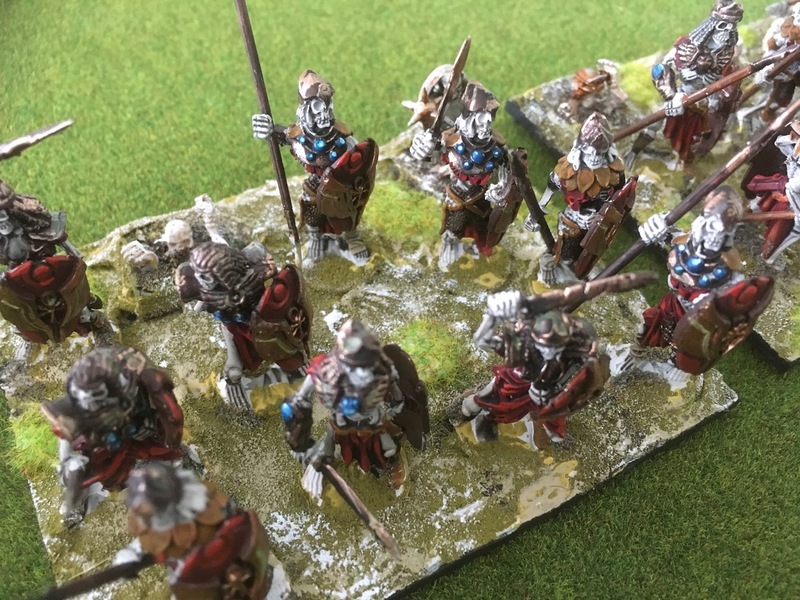 The figures were block painted over the white, and then given a black wash. 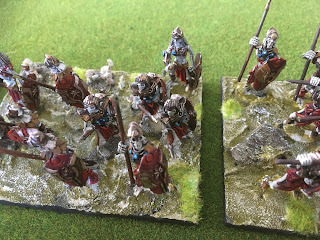 In Kings of War, regiments are normally composed of 20 figures, and I based the first 20 spear on that basis, but the figures looked far too dense. I took a closer look at the multi basing that has taken off within the KoW community. It reduces the number of figures on a base. 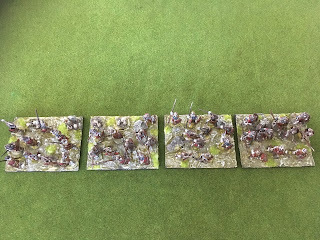 I opted for 10 per base, which meant that instead of two regiments I had enough figures for four. 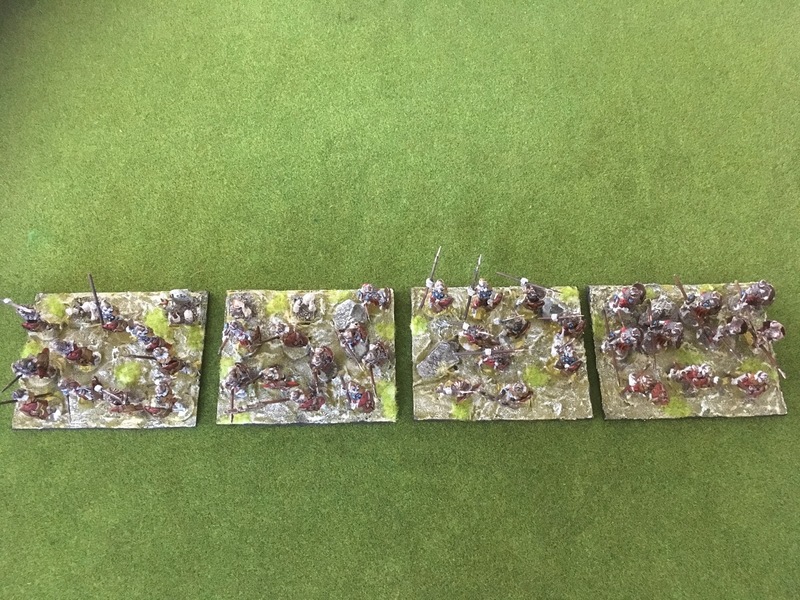 I took the first 20 off their base, and rebased back to 10. I prefer the 'multi base' look. It's been hard to keep the motivation going. Finally today the fruits of nearly 6 months of work.